Flying Fisherman DownSea offers anglers an edge with a large fit, lightweight TR90 frame featuring co-injected non-slip nose and temple pads for a stay-put fit. 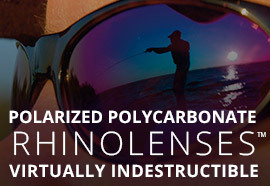 Virtually indestructible, polycarbonate RhinoLenses™ offers anglers shatterproof eye protection from flying hooks, lures, sinkers and more, plus the Flying Fisherman® AcuTint™ lens coloring system for enhanced optical clarity and 100% UV protection. 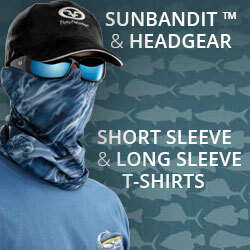 Superior performance for serious anglers! 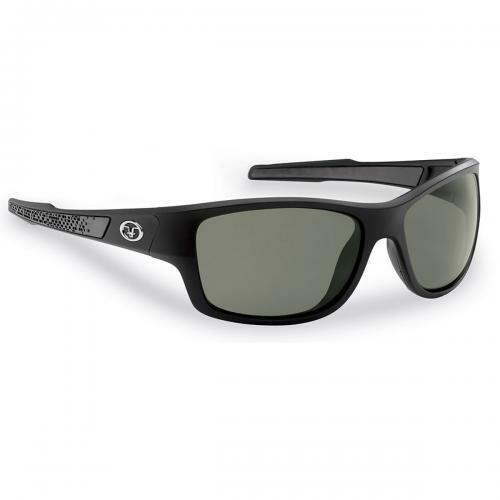 Virtually indestructible, polycarbonate RhinoLenses™ give anglers complete eye protection from flying hooks, lures, sinkers and other debris, plus the Flying Fisherman® AcuTint™ lens coloring system for enhanced clarity and polarized, glare-blocking results on or off the water. AcuTint lens coloring system adds color contrast without distorting natural colors, allowing you to see more clearly. 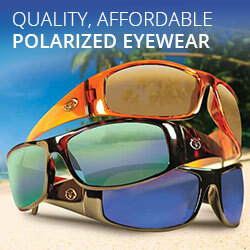 Polarized lenses eliminate glare, reduce eye fatigue, and block 100% of harmful UV rays. 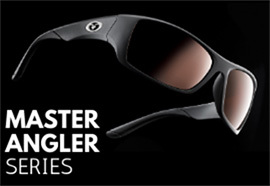 Polarized Polycarbonate RhinoLenses are shatterproof, scratch resistant, lightweight and durable. Includes microfiber drawstring case. 1 Year Limited Warranty.